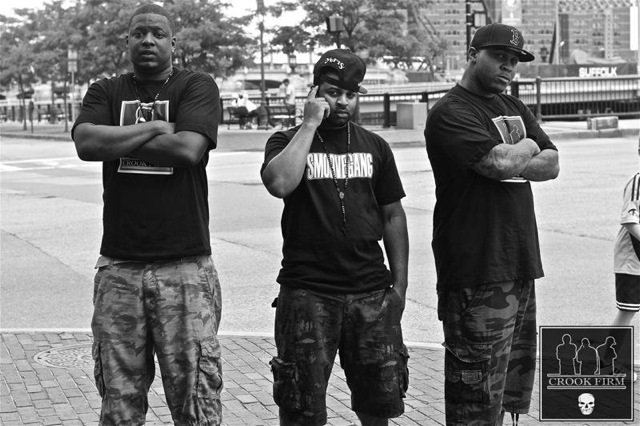 We recently politicked with hip hop group Crook Firm. 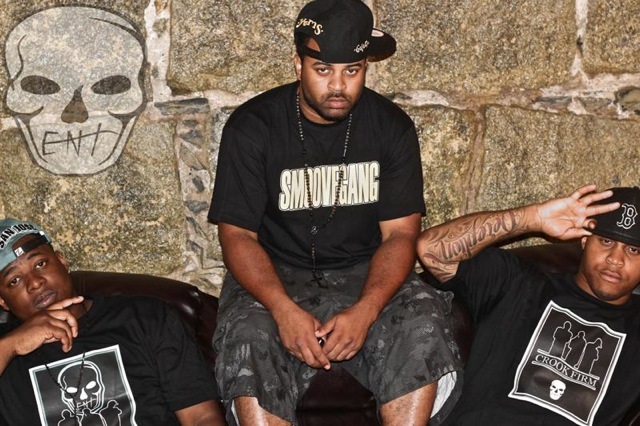 Crook Hailing from Boston, the group consist of E.G.O., Galaxy & Hector Marciano. E.G.O. and Galaxy are blood brothers. The group formed in 2007 when E.G.O. and Marciano were introduced to each other by Galaxy in Loring Job Corps Center. PP – So I know you are a hip hop group from Boston but that’s about it. Could you tell us more about your background? CF – We formed a hip-hop/r&b trio called “Crook Firm” consisting of myself (E.G.O), my blood brother Galaxy and a close friend of mine Hector Marciano. We are proudly representing Massachusetts as a whole, but our fan base is strongest in Boston & Brockton where we grew up. Both Galaxy and I had a strong passion for music at a young age as if music as we were inspired by our family members in their church choirs and neighborhood friends that rapped as well. When we started composing music ourselves, we were able to express ourselves through it to create a new sense of style in hip-hop, some old soul and some new school mixed together. Meeting up with Hector Marciano in Loring, ME Job Corps, at a time when we were all struggling, unexpectedly kick started the “smoovement (smoove movement).” Smoove is what we call our style of music that is unifying all genres into one universal phenomenon that anyone who truly enjoys music of any kind will surely approve of. The “smoovement” is the movement/campaign that consists of our group Crook Firm, SmooveGang, various Artists, Producers, Photographers & Videographers that are apart of the team and support & all of the devoted fans we have and continue to gain as our music spreads throughout the world. PP – As a group, could you please share what each member brings to the table? PP – I (E.G.O.) handle the business/finance aspects pertaining to Crook Firm, without ever slacking on exhibiting my wide range of lyrical abilities. Hector Marciano expresses the painful truth of the struggle in his lyrics bringing to light some of the harsh experiences he endured living in the heart of the hood. Galaxy one of the two official Producers for Crook Firm, brings the soulful old school and new school mixture to the music hitting fans with the triple combination of producing beats , singing and rapping. PP – What you do believe separates you from other hip hop acts? CF – Unconditional faith in God’s plan for us. PP – How’s the hip hop scene in Boston like? CF – Very competitive and rarely financially rewarding, in which we intend on changing. PP – Where can we check out our music? Any current projects? * As well as various blog sites featuring our single “Take You on a Ride” that can be viewed by searching “Crook Firm” on www.Google.com. PP – Please share an important life lesson you’ve learned? CF – You can either be your own best friend or your own worst enemy depending on how you live your life. Always depend on yourself as opposed to relying on others. If you aren’t your own best friend, no one else will be and the last thing you need in the music business is one more enemy. PP – Thanks for stopping by, any words for the readers? CF – Thank you to all of our fans that support and show love, stay tuned to the Crook Firm Smoovement because we have Smoove music and a change for the better coming up.